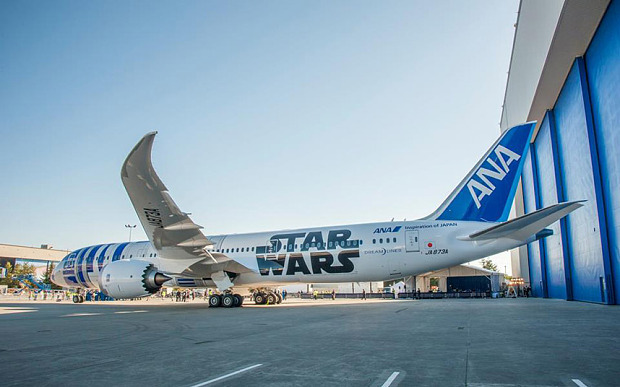 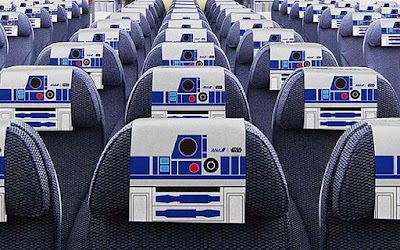 Above is a Boeing Dreamliner 787-9 that looks like R2-D2 for a Star Wars convention in California. 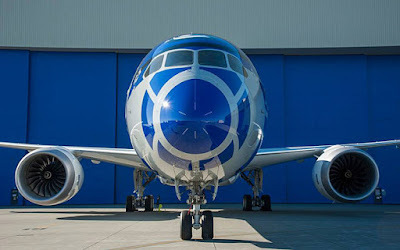 It is the world's first commercial plane to be painted to look like a Star Wars character. 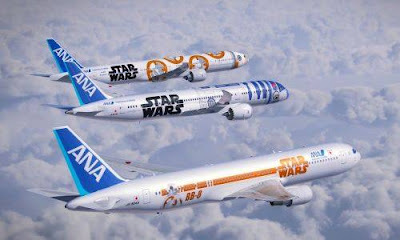 It will be flying to destinations all around the world from Japan and back. The other planes are BB-8, the new droid from the movie, and another BB-8 one with a BB-8 printing on its sides.. 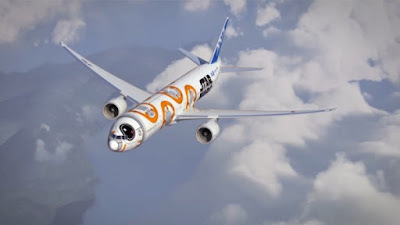 Shown below is the front of the BB-8 plane. 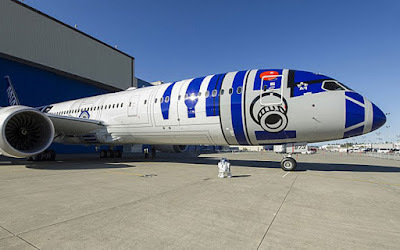 If you are a Star Wars fan, you would love to be on this plane, whether to want to go somewhere or just to enjoy the plane itself. 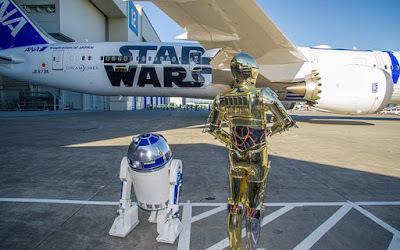 That is all for this post, and be sure to share it with others, subscribe, and stay tuned for future posts. If you have read all the post on my home page, you can go into my archive to see my older posts, so they don't become forgotten! I will usually make 2-3 posts every single day, and if you follow this blog you will see them daily. 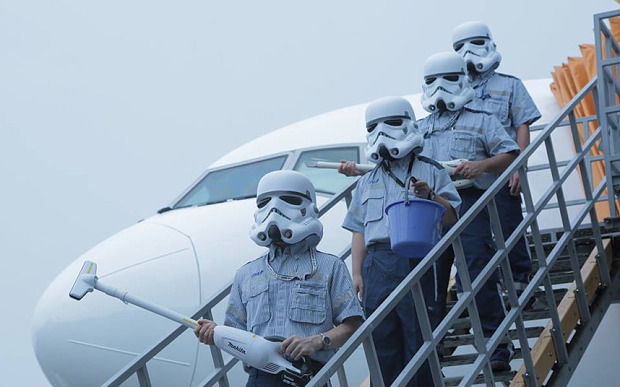 Thank you for reading, and I will see you all later.